Nahita Madencilik is amongst the credible Processors and Exporters of Pure Calcium Carbonate. The raw Calcium Carbonate is sourced by us from the Nigde region located in Turkey. Our company procures formulated Calcium Carbonate from leading manufacturers and refines it at our state-of-the-art processing unit. Appreciated by the clients for its whiteness, accurate composition and purity, the Calcium Carbonate is packed using premium packaging material. In addition, we have gained prominence in the market since; we deliver the Calcium Carbonate in any quantity depending upon the requirements of the clients. 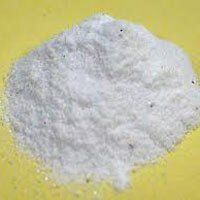 We are reliable Industrial Calcium Carbonate Processors and Exporters in India.